Oral-B is a giant when it comes to oral hygiene products. As such, they have released their fair share of top electric toothbrushes on the market. Some, clearly better than others. If you feel stuck trying to decide whether you want to Oral-B 1000 or the Oral-B 3000 model, you have come to the right place to get “unstuck”. Our team at Dental Dorks compared and rated both toothbrushes in order to determine which one is a better fit for most average consumers out there. If you want a quick reference for fast decision making, scan through this easy to use comparison table of Oral B 1000 vs 3000. For more insights and detailed reviews, read the entire post and feel free to drop us a comment. You’ll only learn the true difference between the two kits once you start testing them. On face value, they’re very similar. The small difference in charging station design makes this more appropriate for family use, compared to the 1000 model. Of course, if whitening your teeth is an important goal, you may also be willing to purchase the 3000 model with its more advanced brush head. Cleaning method: Both these electric brushes clean your teeth through a combination of oscillations and pulsations. 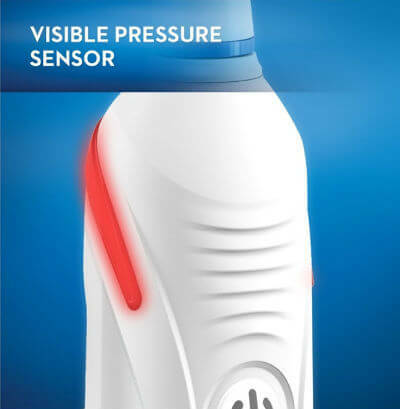 However, in the 1000 model, your teeth benefit from only 20 000 pulsations per minute (already impressive we admit), compared to the 40 000 pulsations you’ll get from the Oral-B 3000. This is a feature that has a big impact as it’s simply more effective. Despite the differences, when it comes to plaque removal both have the ability to deal with 3 times more plaque than your regular manual toothbrush will. 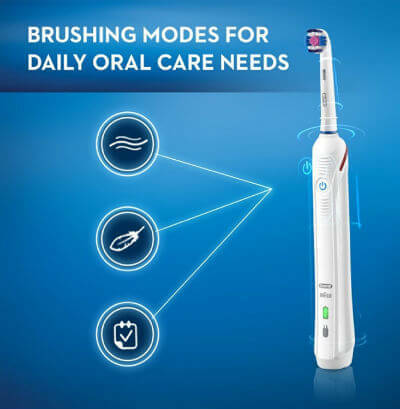 Brush modes: While the two have similar features, the 3000 includes some of Oral-B’s more advanced inventions. In the Pro 1000 model, you’re offered one cleaning method only, the Daily Clean Mode. This is appropriate if you only need it to mimic regular brushing. In the Pro 3000 model, you have three settings to pick from Daily Clean, a Sensitive setting and a handy Whitening mode. Many people opt for this purchase to get the benefits of the second mode. When you face the reality of sensitive gums you’ll do almost anything to prevent hurting them on a daily basis. The 3000 does an excellent job! Connectivity: It’s becoming popular to link any new device with your Smartphone. Oral-B incorporates this into its brushes, but not all of them. In this comparison, you’ll only find Bluetooth connectivity on the 3000 model. That enables you to log details of your brushing (this is handy to track children’s habits or to share it with your dentist) and you can use the app as a time coach to learn optimal brushing habits. Some may see this as superfluous, but if you need help to ensure better oral care, this is an excellent tool. The Pro 1000 model does not have this feature enabled. Pressure warning: One of Oral-B’s most handy features on electrical toothbrushes is to warn you when you’re applying too much pressure. This is done through a pressure sensor and glowing light, which tells you to ease off. This is found on the 3000 but not the 1000 model. The latter will only stop pulsations to help limit damaging your gums. Brush heads: Of course, with different brush heads, there are major differences in what you get out of brushing. The Pro 1000 is sure to clean well, as the CrossAction is an excellent all-around cleaner. The ProWhite’s whitening feature (thanks to polish capability) is a nice-to-have, but in itself not necessarily a better cleaner than the head supplied with the Oral-B 1000. Important: It can take up to 3 weeks for teeth to become whiter as surface stains disappear over time, not instantly. Oral-B Pro Timer: One of the additional ways these brushes help you learn better habits is through the brand’s Pro Timer feature. The brush will stutter every 30 seconds so you know how long you’ve been at it and when it’s time to move the brush head to other teeth. As most dentists recommend you brush for 2 minutes long, this is an easy way to keep track and it’s found in both these models. 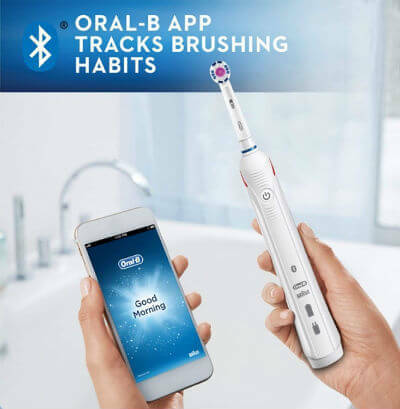 The Oral-B 3000 has Bluetooth connectivity so you can access and benefit from the brand’s app. There’s no option of this with the 1000 model. Pro 1000’s charger design requires less space, as the 3000 also has a container for more brush heads. Pro 1000 is much more affordable than the 3000, while still providing excellent cleaning features. They do look different in terms of coloring, though they’re more or less equal in size. The 3000 has a total of three cleaning modes while the 1000 model only provides a Daily Clean option. You can combat blemishes on your teeth with the Oral-B 3000, but not the 1000 model. That’s thanks to a whitening mode, as well as the Pro White brush head that has a rubber component that helps with polishing. The 3000 will warn you of applying too much pressure, while the Pro 1000 simply stops pulsating to limit hurting your sensitive gums. 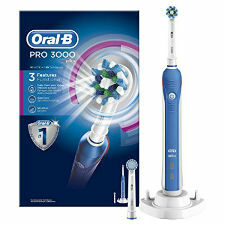 Oral B Pro 3000’s 40 000 pulsations/minute is twice the number of the 1000’s. This adds to its cleaning power. The two brushes are very similar, but if aesthetics matter to you, you may have to look closer. Both are made from plastic casings, but the added light, which serves as pressure warning, gives the Pro 3000 a more modern, futuristic appearance. This may even be more appealing to children, which makes coaxing them to start brushing more effortless. There’s also a color scheme difference as the Pro 1000 comes out in light blue and white while the 3000 has a more striking dark blue woven into the design. Of course, personal preferences will determine which of these you prefer. Both can easily blend into modern bathroom aesthetics, as they’re slim and look minimalistic. Just remember you’ll need a bit more space for the 3000’s charger as it includes space for cleaning heads. At least this helps to keep your bathroom tidy. This is a game changer for many. If your brush requires regular charging it can become quite frustrating to ensure you don’t run out of power in the middle of a session. This is especially important because the brushes charge in their docking stations, not while you brush. With both these, you have a respectable battery life of +/- 7 days for use by one individual from one charge. The biggest question here is whether their performance warrants their price tags, right? There’s no question that both perform well as they’re made by one of the leading dental equipment brands. They’re dependable, high quality and long lasting. Assistance to prevent damaging sensitive gums. When a toothbrush warns you of applying too much pressure you stop before—not after—the damage is done. This is extremely valuable. In due time you may even learn better habits and automatically apply the right amount of pressure. But what if you simply want a good brush? Your 1000 model will still give you excellent performance, without you paying such a high price. Which one should be in your bathroom this year? Be wise and invest in the Oral-B 3000 if you struggle with sensitive gums in any way. This brush is designed specifically to help you combat the problem, making it an excellent investment. Remember, gum care is as important as looking after your teeth. 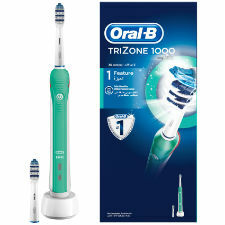 If you are shopping on a budget though, but want to upgrade your current brush, know that like Oral-B’s other products the Pro 1000 is a good option too. Most importantly: You need to look after your teeth and these brushes are some of your best options on the current market. You have the facts now so don’t delay in ordering yours.